Today I’m giving away the TIFF 1994 program. What a year. I have to change the format of my post because there are way too many movies to talk about. I’ve done more of a list with shorter descriptions and followed the programming themes to make it easier. There were many more movies that year that didn’t even make this list?? I will say I saw most of these movies in the festival but I know of two that I saw later on that year when they got distribution. Whale Music – For me, one of the many great soundtracks from a Canadian movie, and the first time I understood what an incredible actor Maury Chaykin was. Eat Drink Man Woman – From Ang Lee. Beautiful insights into the universal themes that emerge as families age – generation gaps, fears for your children’s future, the absence of a lost parent. And the dinner table! A masterful storyteller on only his third feature. Vanya on 42nd Street – I never saw My dinner with Andre so I didn’t know what Wallace Shawn and Louis Malle could do when I walked into this movie. Muriel’s Wedding – Has anyone had this much fun in a movie theatre since? It also made me not hate Abba. The Burning Season – There are a lot of great movies about South American uprisings and political battles. They make for some heroic characters and big scale drama. This one is right up there. Also, it starred Raul Julia. Bullets Over Broadway – Everyone thinks John Cusack should have had a better career, including Woody Allen. He was great in this. Remember, “don’t speak…don’t speak”. I sat a couple of rows behind John Cusack for this screening. He’s really tall and blocked the screen a bit, but I didn’t mind because he was so cute. Mrs. Parker and the Vicious Circle – I don’t know if this is as good a movie as it should have been but I’m obsessed with Dorothy Parker and I loved that someone wanted to make a movie about her. Three Colours:Red or Trois Couleurs: Rouge. I love Kieslowski and should probably have dedicated this entire post to him and his movies. This was the last instalment in the Three Colours movies, Blanc and Blu came first. He also made The Double Life of Veronique and the Decalogue, of which you cannot say enough. Always say yes if you get a chance to see one of his movies, especially if you love movies, he’s the master’s master. 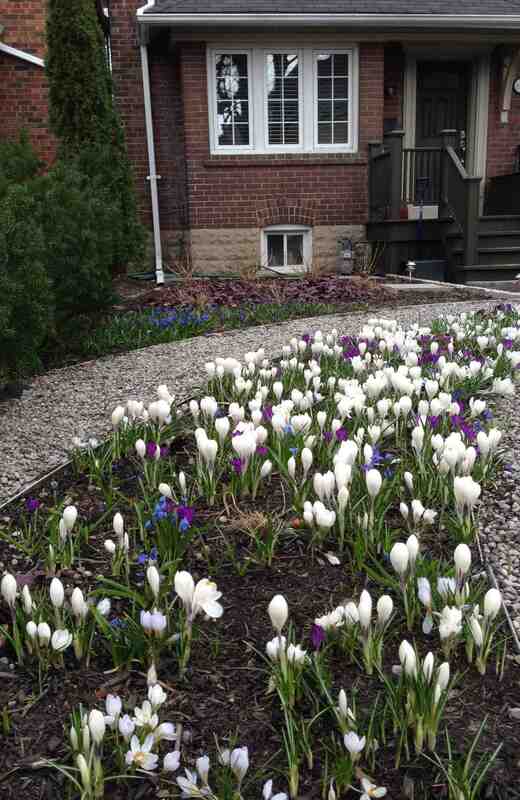 Exotica – Atom Egoyan doing some unsettling story telling…for a change? I love Bruce Greenwood in this movie. He’s tense and uncomfortable, so watching him, you are too . I saw this movie after the festival. I think when I read about it in the program I was dubious, but the buzz and press compelled me after the fact. Even now when I look at the program, I don’t know if I want to know this story. Double Happiness – How great is Sandra Oh when she has something interesting to do. I don’t know how good the movie was, but she was great. Heavenly Creatures – Australian girl goes a little crazy. My first time seeing Kate Winslet and the first Peter Jackson movie I saw. Still a haunting and unsettling story about what young minds are capable of. Moving the Mountain – Michael Apted makes amazing documentaries, not just the 7 up series (although I have seen all of those). This one follows a brave young man during the Tiananmen Square uprising and massacre. Remember how heartbreaking that ending was after a few months of hope and tension. Il Postino – What a beautiful movie and I love Philippe Noiret. I’m a bit embarrassed to admit that it was this movie that introduced me to the poet Pablo Neruda. A story well told. The Buddy Factor, better known as Swimming with Sharks. I loved this movie. I loved to hate Kevin Spacey and have always kind of hated him in every role I’ve seen him in since. I loved the insider view of the movie industry. I loved the revenge factor. I won’t say what else I loved because I don’t want to be a spoiler. If you haven’t seen it, do. Hoop Dreams – I always try to see documentaries about sports, they’re so emotional and suspenseful and you get to live vicariously through an athletes commitment and sacrifice, victory and defeat. This one is no exception. It’s a great movie, and if you liked it, you should also see Undefeated which is on Rogers on Demand right now. Once Were Warriors – So many themes going on in this completely engrossing film about a troubled Maori family living in Auckland. It will make your family feel pretty calm and healthy by comparison. A really impressive first feature. Clerks. – Natural, unaware, funny, and ground breaking, Kevin Smith’s first movie, and maybe his best (or tied with Chasing Amy). This may be the movie with the biggest “cult” following of all time, it’s probably more of a demographic cohort. The Shawshank Redemption – can you believe this was a first feature? Frank Darabont went on to make the Green Mile and The Walking Dead among many other things. Who hasn’t loved this movie? It was perfectly paced, emotional, redemptive and believable. I don’t think I saw it during the actual festival – I’m pretty sure I jumped on the bandwagon later with everyone else. 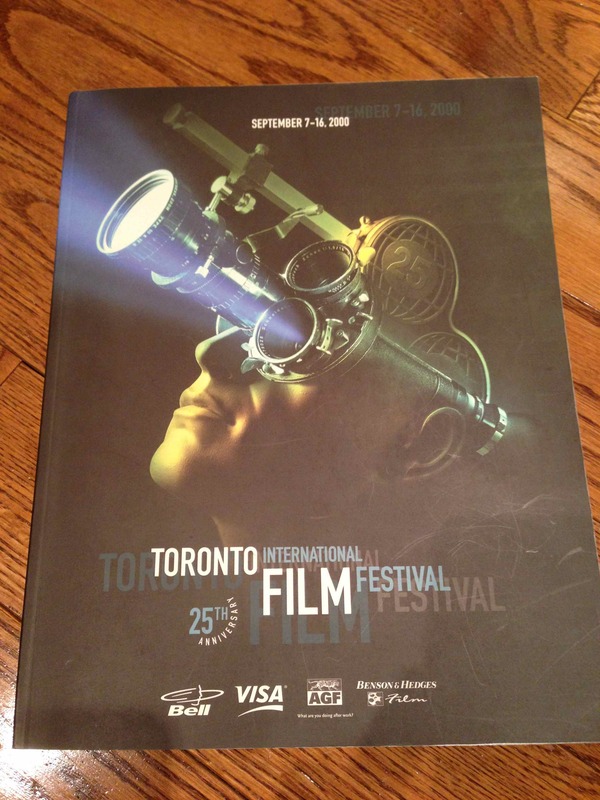 Today I’m giving away the 2002 Toronto International Film Festival program. This was an interesting year, especially looking back 10 years later. For those of you who don’t go to the festival, there are several programmes that make up the list of films. Galas are the big red carpet events that feature more mainstream, big name movies, cost extra to attend, and almost always get distribution in Toronto within a year. 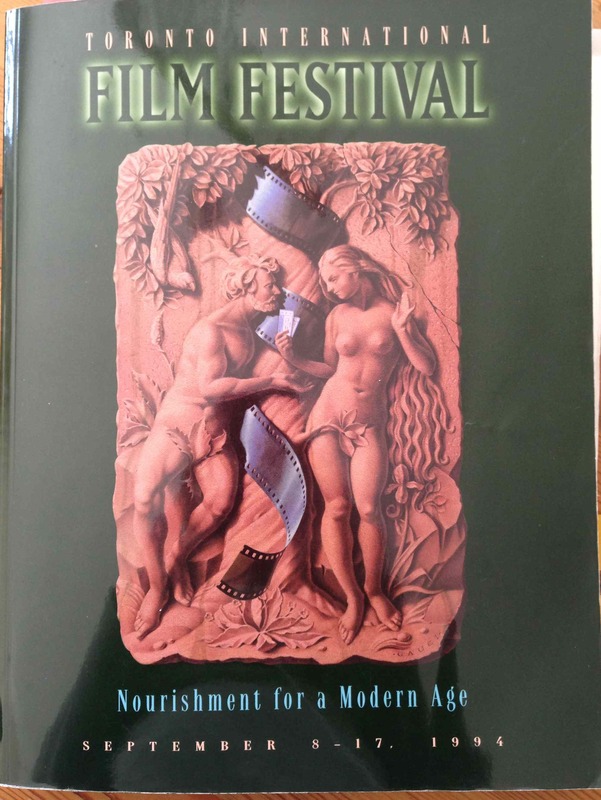 Programmes like Special Presentations and Masters are for the higher profile international films, made by highly respected directors with a following and a body of work. Contemporary World Cinema is a cross section of the best of what’s out there from film communities around the world, Discoveries are the first time directors, Real to Reel the documentaries etc.. This year got better towards the back of the program, the further you got from the money. It also had some really great docs. The two best Galas were Far from Heaven from the awesome Todd Haynes and his muse Julianne Moore and featuring the best performance we’ve ever seen from Dennis Quaid, and In America by Jim Sheridan, a beautifully told and poignant story with Samantha Morton and Paddy Considine. Neither were big money movies. Dirty Pretty Things – From Stephen Frears who I talked about last week with The Grifters. He makes incredible movies and I loved this one about an illegal immigrant in London. It was the second time we saw Audrey Tautou (remember Amelie?) and the first time I saw Chiwetel Ejiofor, a great actor. Gerry – from Gus Van Sant. This is not a movie for everyone. It’s about two guys who get hopelessly lost in the desert (Matt Damon and Casey Affleck), there is little dialogue and it’s extremely uncomfortable to see people suffer a slow and horrible decline under these conditions. It’s based on a true story though and felt so much like the male friendships I grew up with, all inside jokes and mockery and the put downs that substitute for affection. I thought the slow drift from buddy banter into an awakening grasp of their dangerous situation was masterful and I loved watching how that reality impacted the roles they played with each other. The Q&A was almost as intriguing as the movie. Gus Van Sant has a way of communicating that is all his own. As I recall, they were improvising through the whole thing and shot the movie in sequence, probably why the arc felt so real. 8 mile – Curtis Hanson made this movie (he of LA Confidential and Wonder Boys), but the real joy was Eminem. I’m a fan and I loved the movie. Punch Drunk Love – from Paul Thomas Anderson, a much better example of Adam Sandler’s acting capability than Funny People. It makes me sad that he doesn’t work with better directors and better material. I don’t like any of his comedies. The Magdalene Sisters – Written and directed by Peter Mullan, who is himself a great actor, this is based on a true story about an Irish Catholic girl’s asylum and convent. It was used the way we use youth detention centres now, and run with military and abusive relish by some pretty mean nuns. It’s heartbreaking and frustrating and has stayed with me for years. Whale Rider – Wasn’t this fun? In the early ’80’s at the very first film festival I attended, I was struck by a movie from New Zealand. I can’t remember the name of it so I’ve never been able to find the people who were responsible, but this was a great reminder. Beautiful story telling from a beautiful place. Lost in La Mancha – This is the story of Terry Gilliam’s failed attempt to make The Man Who Killed Don Quixote. For a movie lover, it gives you great insight into the fragility of the creative process, agonizing financing struggles and the joy and challenge of big talents coming together to share and realize a vision. I like Terry Gilliam and wish the movie got made, I can imagine it would have been an incredible viewer experience. Spellbound – Pure love for a movie that created drama, cheers and gripping tension around an annual spelling bee. A good film maker can take the mundane in life and make it epic. That’s what they did here. Bowling for Columbine – Michael Moore’s best movie and a brave essay on fear culture in America. Whatever you think of his tactics, the guy made us understand the gun appetite that just seems so foreign and unfathomable in Canada. I only wish it had a bigger effect. This movie may have been preaching to the choir but it gave us a better vocabulary for the issue and, amazingly, found a way to entertain us in the process. 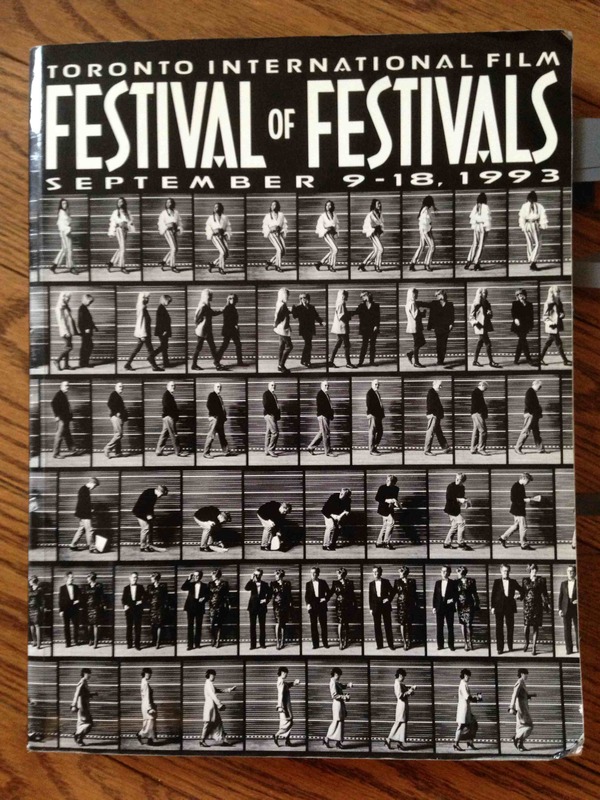 Today I’m giving away the 1990 program from The Festival of Festivals (TIFF). Another good year, although, I have to admit that my memory is not as strong as later years. Funny, what I do remember is less the movie itself, more how I reacted to it. That old adage, people don’t remember what you said, they remember how you made them feel, is true here. Cyrano de Bergerac – Not the Steve Martin version, the beautiful french film with Gerard Depardieu (before he lost the plot). The director introduced the movie and told us that the subtitles had been written by Anthony Burgess. It would have been an incredibly difficult thing to do because the original dialogue was all in verse. I remember being frustrated that my French wasn’t good enough to understand the original, but I loved the movie anyway, and thought he did an amazing job. GD won best actor at Cannes for it. Trust – The second installment in my devotion to Hal Hartley – I don’t have the program for 1989, my discovery year with The Unbelievable Truth, so I will fawn here. He is a real festival circuit, indie kind of film maker. His movies are low budget, intimate and specific. He develops layered characters who communicate in deadpan, staccato and odd dialogue that can only come from one of his movies. His earlier films had more conventional narratives, and Trust is in that camp. He casts great combinations of people too. Trust featured Adrienne Shelly, Martin Donovan, and Edie Falco – that’s a typical representation of a Hartley ensemble. Every TIFF year, I look for something from him. I know a lot of people who feel the same. Metropolitan – Another great indie director, Whit Stillman. This was his first feature. More deadpan, funny, story telling from a really unique voice. He later directed The Last Days of Disco and Barcelona, also favourites for me. This is a movie about the people you thought you wanted to be until you were old enough to know better. Eight Taels of Gold – I picked this one mainly because I love Sylvia Chang, a fantastic Taiwanese actress, director and writer. She was in a number of movies in the festival that year, but I chose to see this one. I remember being struck by her, and by another story of China trying to reconcile its traditions with its future. The Grifters – This might be a top 10 movie for me. I loved everything about it, the story was gutting, Anjelica Huston, Annette Bening, and John Cusack gave the best performances of their lives, and Stephen Frears made it flawlessly. This is about as good as it gets. An Angle At My Table – Directed by Jane Campion, this is the story of Janet Frame, an Australian writer and the most unusual, quirky, confounding and human character. This was the first time I saw Kerry Fox, who played the lead. She went on to star in Shallow Grave among other things, Danny Boyle’s first and awesome movie. She does a lot of Australian TV now so we don’t see much of her anymore, too bad. Jane Campion went on to direct The Piano and later, Bright Star. Two more favourites. To have two movies of this caliber in the festival was what struck me looking back. I was really wowed by both of them. 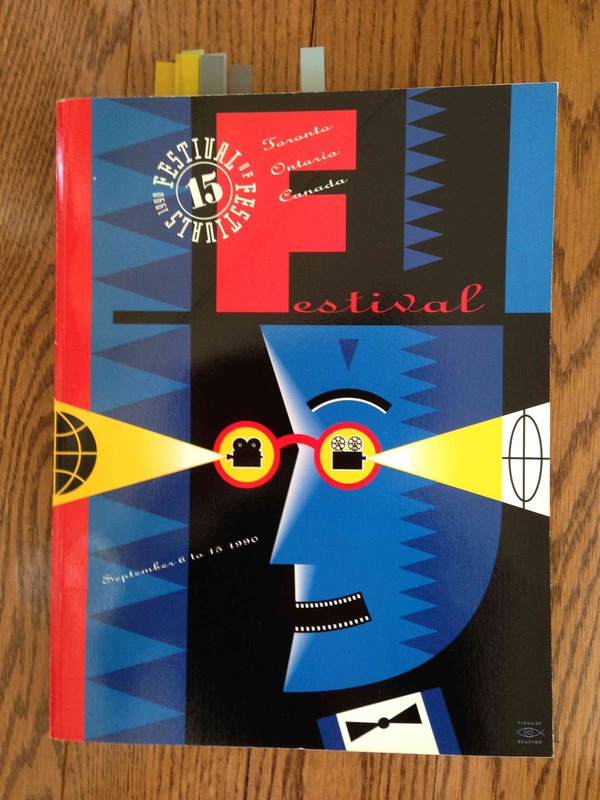 Today I’m giving away the 1992 Program Guide for the Toronto International Film Festival of Festivals (that’s what it was called then). Bob Roberts The satirical political semi-musical engaging story that was Tim Robbins directing debut. He also wrote the script. He’s not prolific but I think he was a good director. He’s been directing TV for the last ten years. This was a funny movie, and he got all his big actor friends to play walk-on roles which was a fun part of watching the movie. Glengarry Glen Ross What a wicked good cast. My clearest memory is of Alec Baldwin eviscerating Jack Lemon. I know everyone else was terrific, but that’s what has stuck with me. The Crying Game This was a huge discovery for me and everyone else. In those days, you didn’t have to choose your movies in advance, you’d just listen to the chatter and pick up the buzz movies in the lineups. You’d keep changing your schedule to accommodate the movies you were hearing about. By the end of the week my calendar looked like a pen had exploded on it. That year, all anyone talked about was The Crying Game. Amazingly, no one gave away the ending. I loved that old festival-going community, they would never allow spoilers. Strictly Ballroom We all found out what a whacky exaggerated sense of style, affection, and environment Baz Luhrmann brings to his story telling. He just kept getting better (well, until Australia, what??). Les Amants du Pont-Neuf An incredibly difficult story about young drifters who fall in love and live on the Pont Neuf bridge in Paris. It was the first time I saw Juliette Binoche in a movie and I’ve tried to see most of what she’s done since. Paris is beautiful in this movie, especially that old bridge, and I think of that story whenever I’m lucky enough to be there. Reservoir Dogs I didn’t see this in the festival but I’d be leaving a gaping hole if I didn’t mention it for 1992. Every guy I know with even has a passing interest in film has this movie on their top ten list. Sorry, it’s not on mine but I’ve loved other things that Tarantino has done. Simple Men I may be Toronto’s biggest Hal Hartley fan. Every year, the first thing I do when I get the program is look up the director index to see if Hal is there (I call him Hal, we’ve never met). His first movie, The Unbelievable Truth, bowled me over. I loved his second movie Trust. Simple Men was his third and I loved it too. Sadly, he hasn’t had a film in the festival for a long time. He is a bit twisted and about as dry and deadpan as it’s possible to be, I love his dialogue. Also, he casts incredibly good looking guys in his movies. Orlando This was like 4 movies in an hour and a half with the chameleon Tilda Swinton playing a soul who is reincarnated through the ages, changing gender, gaining and losing love, moving through war, royal houses, and across continents. The program said it was based on Virginia Wolf’s novel of the same name but I haven’t read it. When I look back now, it was a precursor to Cloud Atlas. Though, less makeup and a quieter approach made this epic story feel much more intimate. Sally Potter directed it and Billy Zane was beautiful (making him likeable again after the frightening creepfest Dead Calm) but for me, the big aha was Swinton. 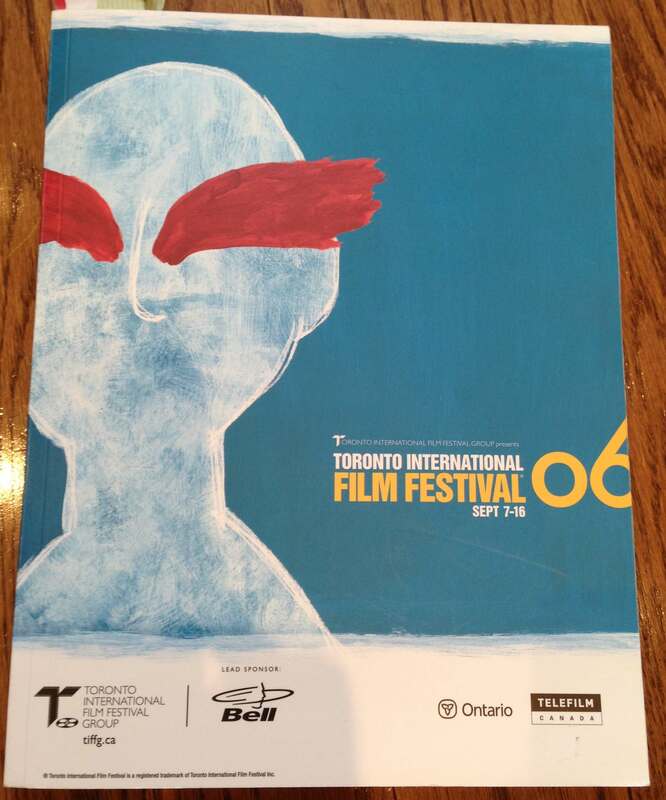 Today I’m giving away the 2000 TIFF program guide and introducing a new feature – Film Fridays. I have about 20 program guides dating back to 1990 (I must have pitched the ones from the 80’s). They’re quite large and I don’t want to hang on to them any longer so every Friday for the next many weeks I’m going to highlight one of the programs and my favourite movies/discoveries from that year’s Festival. You Can Count on Me revealing Kenneth Lonergan and, even better, Mark Ruffalo and Laura Linney, all of whom I didn’t know up to that point. I think they all had a following for great stage work but I’m a movie person and didn’t know them. Memento Christopher Nolan’s writing feat, which I think I didn’t see in the festival but watched later after all the buzz. Remember how much we all loved Guy Pearce? People watched that movie backwards and forwards. Billy Elliott the first feature of Stephen Daldry who went on to make The Hours and created the stage version of Billy Elliott with Elton John – just a little bit of talent there. Requiem for a Dream an in-your-face horrifying slippery slope drug story. Darren Aronofsky did more in two hours than 8 years of Just Say No. Again, I don’t think I saw this in the festival but later on the advice of my filmy friend David. I’m giving the programs to the Toronto Film School who seemed really excited to get them. Today I’m giving away these travel postcards. 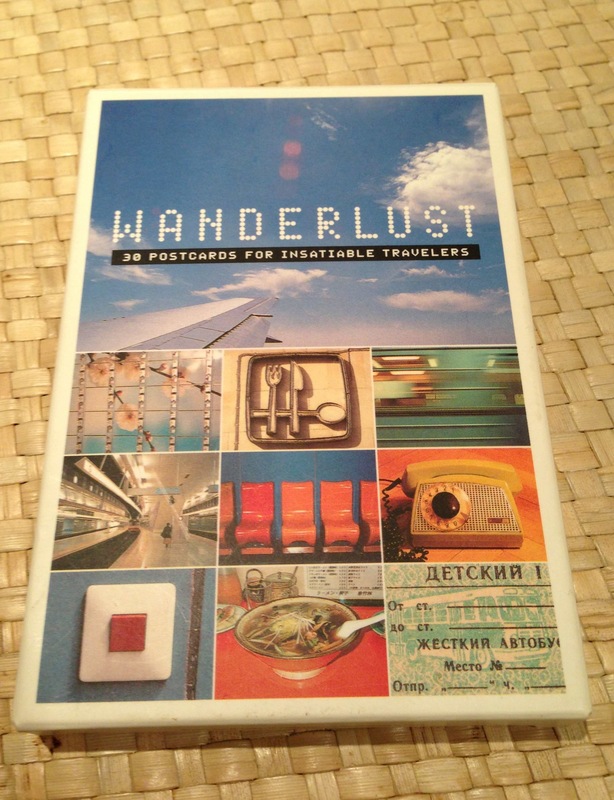 They’re nice looking travel themed photos and images printed on cool postcards. They were a birthday present several years ago. The trouble is, I only send postcards to my niece and nephew, and I send them from the places I’m visiting, usually with cheesy photos of some landmark tourist site. So these have sat on my shelf for years. I’m giving them to my sister the artist. If she can’t use any of the images in a collage or something, she can either regift them, or pass them on to one of her other artist friends to use.